Rumor mill: what will Kojima's next game be? 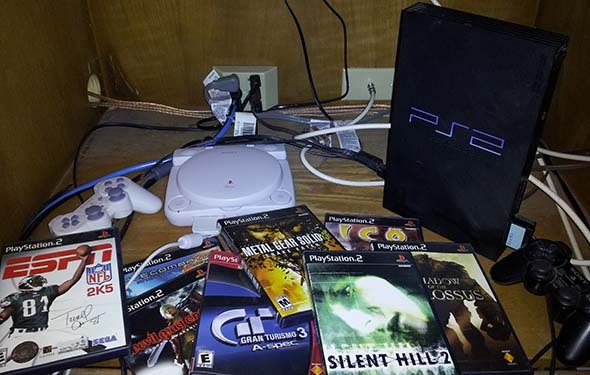 Silent Hills just won't seem to die. Shortly after the game was canceled by Konami, petitions started popping up demanding that it be re-instated. Then came the debacle of the Metal Gear Solid V release, which seemed blatantly incomplete and/or half-assed. Then Kojima officially left Konami, Guillermo del Toro tweeted that the cancelation of Silent Hills "breaks his greasy heart", and it all seemed done and buried. Andrew House (Group CEO of Sony Interactive) announces a partnership with Hideo Kojima. Konami could hire Kojima's independent studio to continue development of Silent Hills. 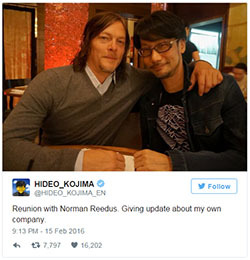 This seemed unlikely considering the rocky conclusion to Kojima's employment. Kojima could buy the IP rights to Silent Hill (and maybe Metal Gear). This also seemed unlikely considering that both franchises are cash-cows for Konami. Lastly, there was the possibility that Kojima Productions could continue the development of what would have been Silent Hills, but without the "Silent Hill" title. Same game; different name. The partnership with Sony opens up a fourth possibility: Sony could buy or lease the licensing rights to Silent Hill and then contract out development to Kojima Productions. This is the only way that the game could possibly see the light of day and still maintain the "Silent Hill" name. Konami has already expressed its disinterest in continued first-party console game development. It's just too expensive, and the company wants to focus more on its gambling business and mobile games. If Konami wants to continue to see revenue from those IPs, then they are stuck either making smaller in-house games (such as mobile games, pachinko machines, or browser-based games); or they would have to license out the IP to third-party developers. Sony certainly has the buying-power that Kojima, by himself, doesn't have, and could certainly afford to buy those rights, if they so desire. but the actual entry-point into the DLC is even more obscure and counter-intuitive. 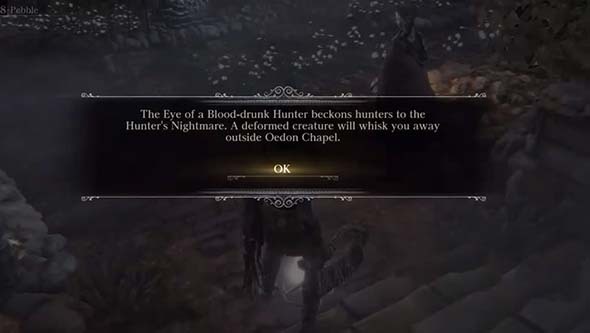 Once you're in the DLC's "Hunter's Nightmare" area, you'll be provided with a seemingly much more technical challenge than Dark Souls' Artorias of the Abyss DLC. While Artorias DLC threw a lot of magic-casting enemies at me that required me to cheese my way through the levels by using ranged weapons or mob-baiting tactics to cut down enemies one-by-one while staying out of range of the casters, Bloodborne's The Old Hunters DLC instead pits me in more one-on-one battles with fellow hunters that require more careful technique in order to vanquish. 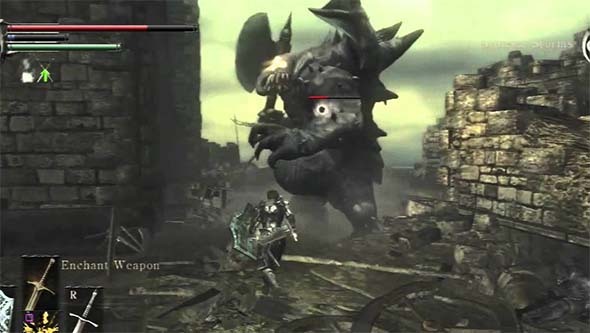 In fact, these encounters kind of subvert one of the common criticisms of the Souls games, which is that enemies are too easy to bait, and fighting one-on-one trivializes most fights. The mob monsters in the Hunter's Nightmare actually back away from you as if they're scared, and the other hunter enemies will actually kill those monsters for you, setting the stage for these one-on-one fights. I hope you've been practicing parrying, visceral attacks, and dashing towards enemies in the base game, because this DLC will test those skills. They aren't as obscenely difficult as the NPC hunters that you can find in the chapel of the Unseen Village or in the courtyard on the side of the Grand Cathedral (opposite the path to the Forbidden Woods), but they can easily destroy you if you overreach or get arrogant. Or at least, most of the hunters aren't that difficult. There are a few notable hunters that posed quite a challenge. One pair of hostile church agents caused me quite a bit of trouble with the camera and target lock, since one was a ranged spell-caster, and the other was an in-your-face swordsman. These issues were exacerbated by the presence of environmental decorations that kept getting between my character and the camera, and thus blocking my view of the action. It always annoys me when game designers put challenges in the game that the mechanics are ill-equipped to deal with. It's something that Bloodborne and the Souls games rarely fell victim to (other than the occasional tight-roping and platforming), so it's really noticeable when it does happen. This wheelchair enemy would sometimes wind up on the moving stairs and turn invisible. Here is a game that somehow managed to slip under the radar for me. As a snob for strong narrative-based games, I was surprised that a project like Until Dawn managed to escape my attention until a couple weeks prior to its release. Once I heard about it though, I was immediately intrigued. I knew it wasn't going to be a proper survival horror game, but it looked to have a lot of potential to move the horror genre (and gaming in general) in interesting directions. I was doubly surprised when I went to go by the game a couple days after its release so that I could play it over the weekend, only for it to be sold out in the two stores that I went to. It's the first time in about ten years that I've had trouble finding a game on store shelves within a week of its release, but I doubt that I'll have to break my long-standing boycott for pre-orders. So I had to resort to ordering it off of Amazon Prime with 2-day delivery and play it the next weekend. Don't be fooled into thinking that Until Dawn is something other than what it is. It is an interactive movie with branching story. It is not an open-ended survival game! 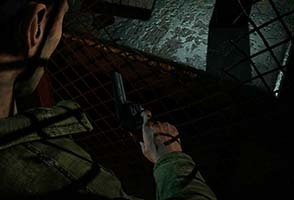 Anyone familiar with Heavy Rain or the Telltale Games will have a good idea of how the game will play out. The things you do and the actions and dialogue available are very tightly scripted. You won't be making decisions on how the group splits up, who goes where, or even what any individual character might be doing at any given time. Large chunks of the game are just dialogue and cutscenes, stopping you every now and then to let you make one of two choices, or showing a button prompt on screen to keep the action going (and sometimes keep the character alive). There are even some action sequences that could have been playable, but which are strictly non-interactive cutscenes. How about lighting some friggin' candles instead of groping around in the dark? The only time that the game opens up more is when you must explore rooms for clues or evidence. In these cases, you have complete control of character movement and can walk around mostly freely. But interactions are severely limited. You can only interact with the select few objects that the developers intended for you to interact with. Common sense precautions like taking a melee weapon or checking that your new gun is loaded are not possible. These limitations are further exacerbated by the esoteric nature of some of the decisions. Since all decision are binary (usually consisting of a "helpful" / "safe" option or an "antagonistic" / "risky" option), it's often unclear exactly what the character will do, and the outcome often plays out in a non-interactive cutscene. The character may not say or do exactly what the option described, which might lead the player to think "that's not what I meant to do / say! ", and sometimes a decision might railroad you into following through in a way that you don't want to. Granted, the options need to be somewhat vague, and the consequences shouldn't be obvious. That would make the game too easy and dull. 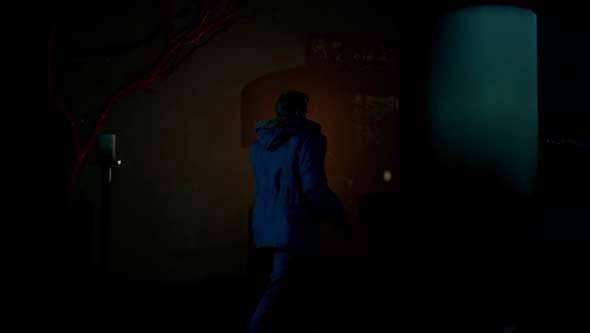 The game has to utilize some of the classic horror movie tropes in order for the narrative to work. After all, the characters don't have the foresight to know that they're in a horror movie game. I accept that there needs to be limitations on the precautions that the player can take, but the player also needs to feel like they have more agency. 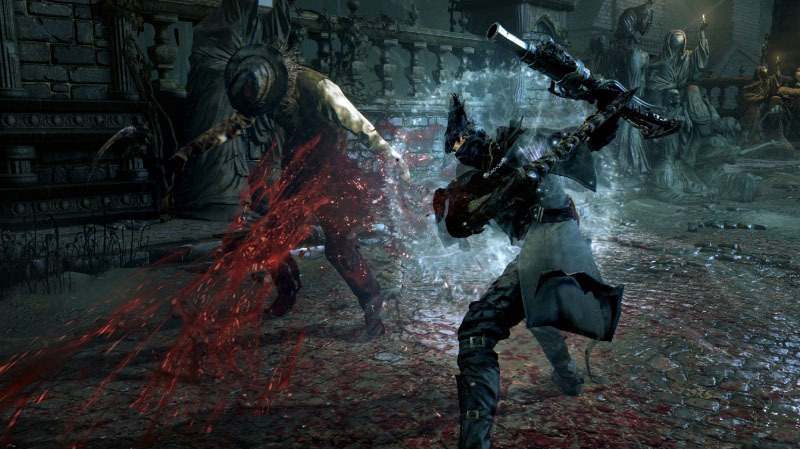 I haven't talked about Bloodborne on this blog yet, other than in passing. This has been because there wasn't much information on it except for the most superficial information and a few minutes of gameplay video. But over the past few months, more information has come out, so I'm going to take a moment to talk about some of the features and mechanics that I am excited about. If you're not already aware, Bloodborne is the PS4's spiritual successor to FROM Software's hit games Demon's Soul and Dark Souls. Both of those games are among my favorite games on the PS3. I'm eagerly awaiting this game, as it is likely going to be the reason that I end up buying a PS4. 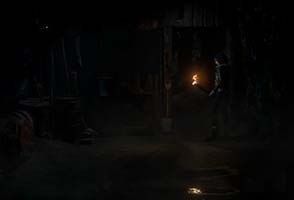 Overall, the game looks to play similarly to the Souls games with one major exception: it takes place in a steampunk, Victorian setting instead of a medieval fantasy universe. This means that the traditional sword and shield gameplay doesn't transfer to the new setting. In fact, shields don't seem to play a role at all. 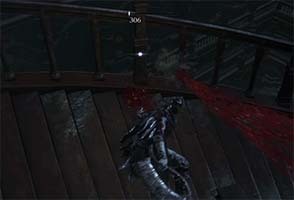 Instead, the player's off-hand can be used to equip a second bladed weapon or a gun. The lack of a shield means that the game is designed to be faster-paced, and combat is intended to be more aggressive and offensive so as to encourage players to attack and dodge rather than backpedal behind their shields. 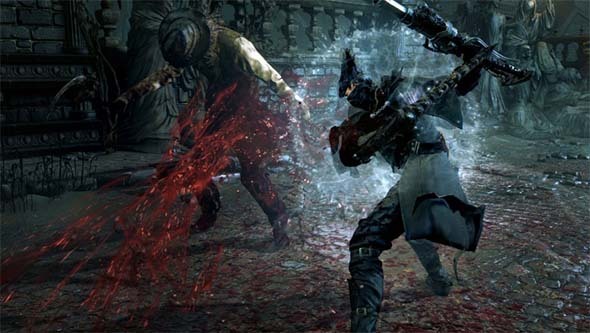 Bloodborne looks to be a darker, bloodier, and faster-paced variation of Dark Souls - with guns!. 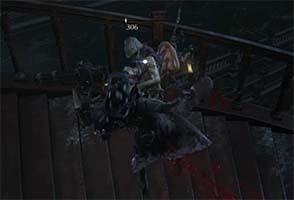 Little is known about the game's story so far, except that it involves people transforming into vicious beasts, and the player character is hunting them. There might also be a bit of a "Dr. Jekyll and Mr. Hyde" theme here, as it's been hinted that players can transform into beasts. This is presumably a replacement for the "soul form" and "hollow form" in Demon's Souls and Dark Souls (respectively). There will be multiplayer components similar to the previous Souls games, but specific details are limited. A demo shown in December's PlayStation Experience expo in Las Vegas, Nevada (apparently, there was an official Sony PlayStation convention in Vegas that I didn't hear about until the week after it was done?) revealed an intriguing new feature: the game will include a procedurally-generated dungeon.